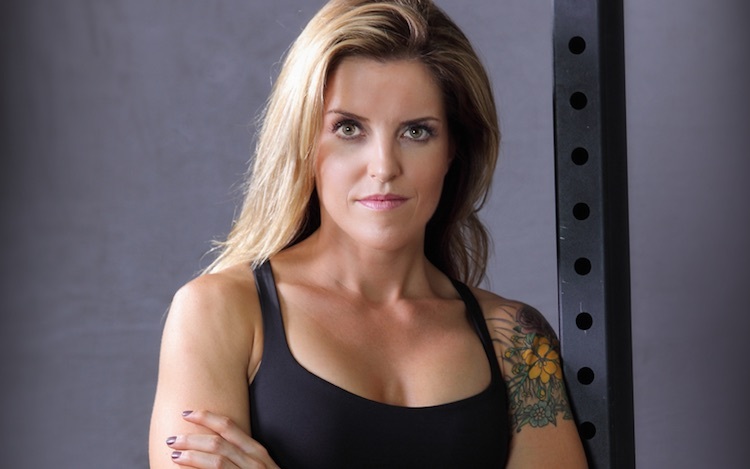 Sarah Fragoso is a wife, mother, and co-owner of the JS Strength and Conditioning gym in Chico, CA with her husband. She also happens to be a national bestselling author of several books about Paleo nutrition, helping people get started on eating and sleeping better and erasing stress from their lives. She founded the Everyday Paleo website years ago, but eventually made the decision to close it in favor of her eponymous website, SarahFragoso.com, sharing her personal thoughts on food, life, fitness, spirituality, relationships, and anything else that comes naturally to her. The site provides recipes and advice for millions of people. In your writing on nutrition, what made you decide to create a particular focus on families and children? When I first began writing about nutrition, I was in the midst of changing my own families nutrition and lifestyle – and with great success – so I was compelled to share with others what I was doing and how I was making it work! How do you balance the work of writing with the work of co-owning a gym with your husband? It’s all about priorities. I first and foremost make sure that my health is taken care of and that my family is my focus and than we carve out time during the week for writing when my husband can be home with our kids. I play a smaller role with the gym and let my husband have that be his sole focus so that I can manage the rest of what I have to do. I really can’t “do it all” so we get done what we can while still making joy, play and living life our most important task. What can people gain by shifting their focus from “paleo” to what it means to “eat food that doesn’t hurt”? I think people can gain a better sense of what really works for them! Often folks come to paleo for weight loss – but paleo isn’t necessarily a weight loss diet unless you learn how to tweak it to fit your needs. There are no set rules of paleo to say how much to eat or not eat, how many carbs to eat or not eat, how much protein and fat, etc., and navigating that can be really challenging! Often times folks come to paleo with an autoimmune disease, digestive issues, or hormonal imbalances and simply “eating paleo” sometimes isn’t enough, and although a great jumping off point most people really need to dig deeper. Finally, some folks can eat a paleo diet and feel fantastic and than find down the road that some dairy works well or some gluten free grains like rice or, oh my goodness, white potatoes! These real foods can fit well into a lot of peoples diets and I encourage folks to simply know who they are, ask for help, and figure out how to eat food that doesn’t hurt THEM! If it’s working it’s working, if it’s not, than it’s time to make a change. What changes have you experienced in the short time since you closed down your popular Everyday Paleo website? I personally have experienced a huge sense of relief. It was conflicting, time consuming, and frustrating trying to manage two different websites and honestly my heart just wasn’t in it anymore. I feel like I’ve gained some much needed momentum and I’m super excited to see the word spreading about SarahFragoso.com and the response has been phenomenal! I’m starting a new podcast and working on a couple of new book projects and feel super inspired and content about whatever the future might hold. Are there specific career goals that you haven’t yet accomplished—or in other words, what’s next in your professional life? Always! There’s a particular book that I’m working on that I’ve wanted to write for years that’s finally coming to fruition (can’t tell you yet what that is so stay tuned) and I would love to jump into television somehow, which is funny, because you don’t just “jump into television” but you never know what might happen so I’m just trying to connect with the right people and if the timing is what it’s supposed to be to make that dream happen than it will happen, and if not – I’m so happy with what I’m doing now than whatever happens next is ok too!